Through my flurry of newsletters in these past few weeks you’ve learned a little about the challenges faced by MaSireh Bojang, a young woman from Sanyang Village in The Gambia, West Africa. These messages have been focused and intense because of her great need for heart surgery and the very narrow window of time in which this surgery was available in Kenya, on the other side of the African continent. My posts have necessarily focused on the physical aspects of securing the surgery, the necessary funding, and the logistical details of getting her to the hospital. 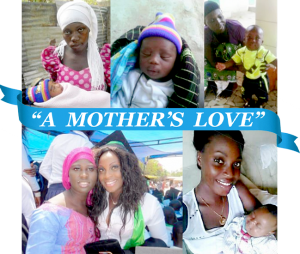 I’ve been able to write very little about her background and life growing up in rural Gambia and the weight she must have been carrying since she was diagnosed with rheumatic heart disease, knowing that no cure was available where she lived. There hasn’t been much time to learn about her dreams and aspirations, if only she were well. MaSireh and her cousin Lamin have now completed a journey of more than 8500 kilometers by plane and car to Tenwek Hospital in Bomet Town in Kenya. For her, it would have been the greatest challenge of her life, her fears and hopes buried in all the details of simply getting from place to place. Yet while the physical aspects of this part of her journey have been fulfilled, a more significant spiritual journey has been happening as well – a journey of faith. She is a very brave young woman. 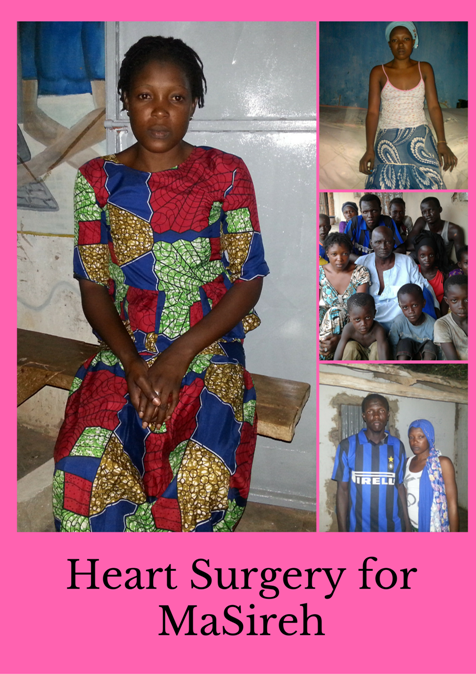 Any such journey is daunting, but for MaSireh this one will require all the strength of her being because it appears she will need three heart valves replaced with open-heart surgery. To go such a distance and enter a hospital – an environment unlike anything she has ever experienced – and to put her life in the hands of strangers from the other side of world, would be traumatic for any of us. A journey of faith is a step into the unknown with hope and belief in our hearts that life itself is greater than we can know or comprehend. At best, we would wish for the support and encouragement of our families, friends and everyone who is close to us. But through this entire journey, MaSireh’s immediate personal support can only come from her cousin. The rest of her family are all far away. My own belief is that we are connected to each other no matter the place or space we occupy on this earth. All of you receiving this correspondence and many others have come to know MaSireh, her struggle and her strength. We can all connect with her and with each other by spending a few moments each day and in particular on Tuesday 26 July, the rescheduled day of her surgery, with a thought, a prayer or a spiritual feeling. We can join our hands and hearts through the space and time that separates us, yet be humanly connected in spirit, to join MaSireh on her journey of faith.